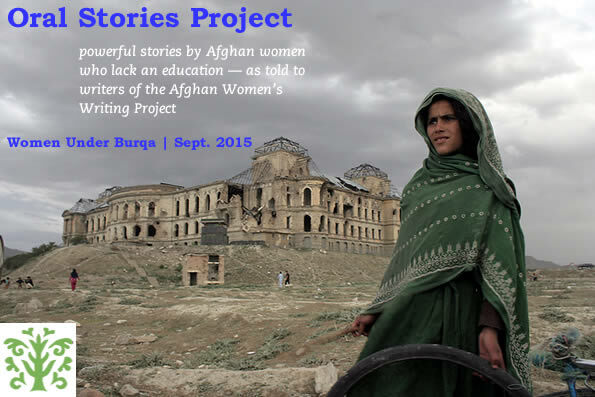 Shaima is 40 years old and works as a cleaner in a school in Mazar-e-Sharif. Mazar-e-Sharif– I am so happy when I go to work and I see all these teachers teaching their sisters to achieve their goals, to become literate and educated. I am not literate but if I were, I would have liked to become a teacher instead of a cleaner. The teachers inspire me to let my daughters study and to let them study hard in order to help their poor country and to help all these students to become something in their lives and to improve the society at large. I did not study at all because my family would not allow me to, due to the bad situation in Afghanistan. I wear the burqa when I go out of the house and I feel safe in it. But I am not allowed to go outside the house alone; I always go with my son or daughter. I was not allowed to choose my life partner. I always wanted to become a teacher, but now when I see teachers I am happy that some women work out of the home and are productive. I want the government to provide good jobs and a good environment and a safe society to work in. Our society is not a good place for the women to work.